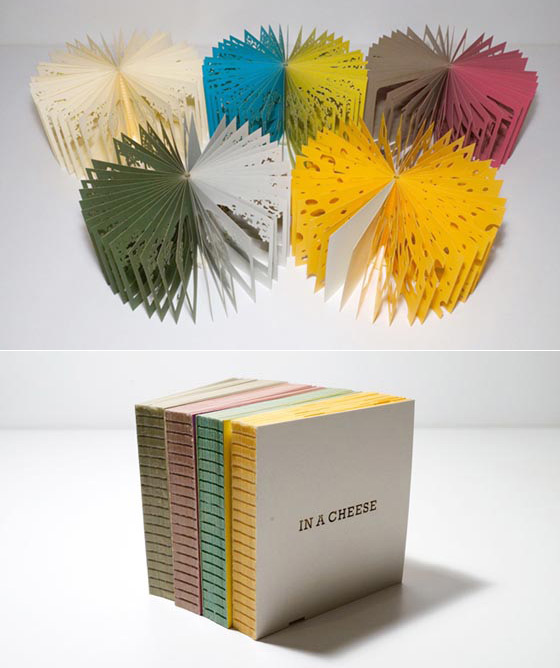 Created by Japanese graphic designer and architect Yusuke Oono, this fun and creative set of booklets using a clever way to illustrate scenes from individual stories in three dimension way. 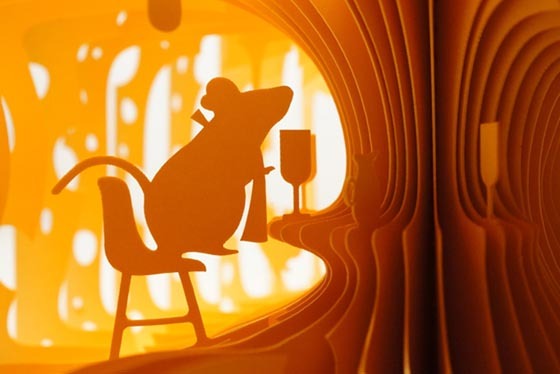 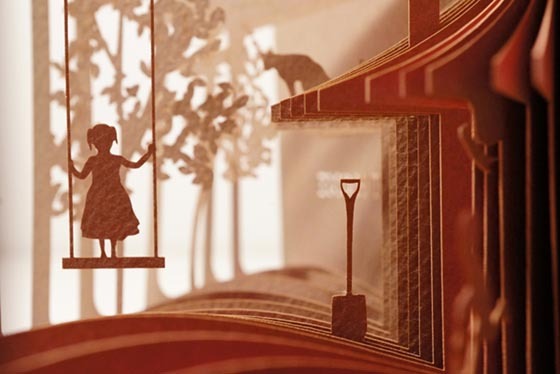 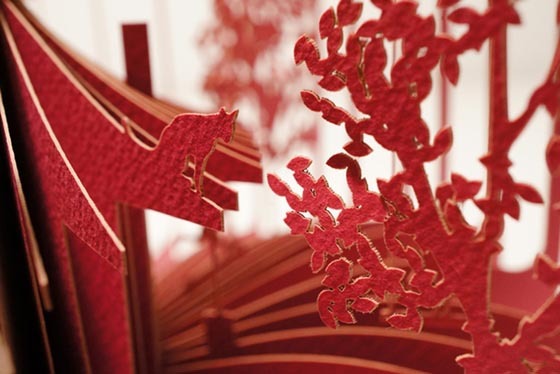 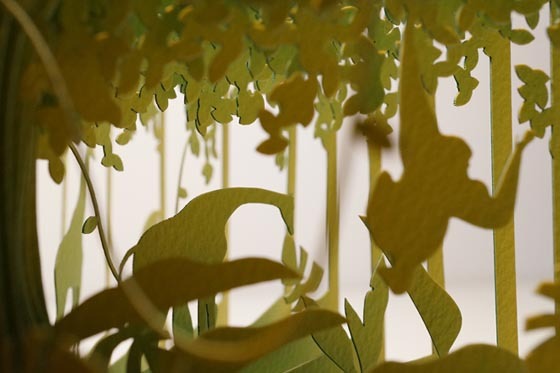 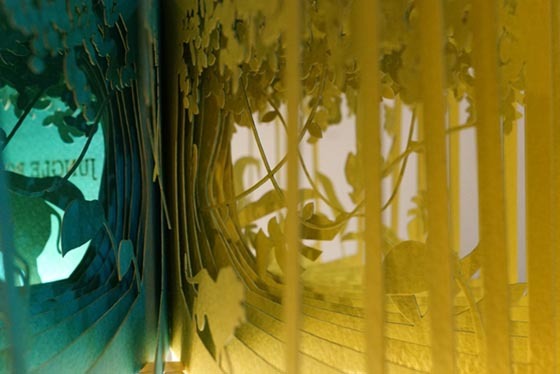 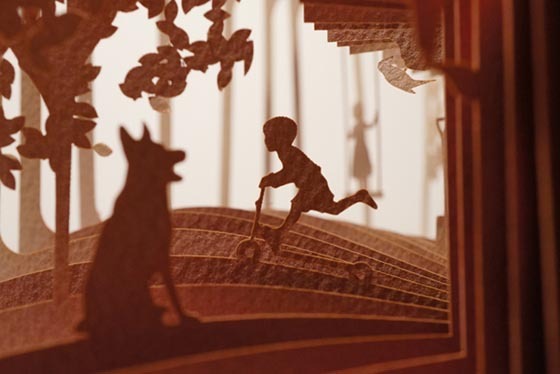 The whole booklet is made of 40-panel of laser cut paper, which can be viewed page by page or fanned out as a sort of layered diorama of silhouettes. 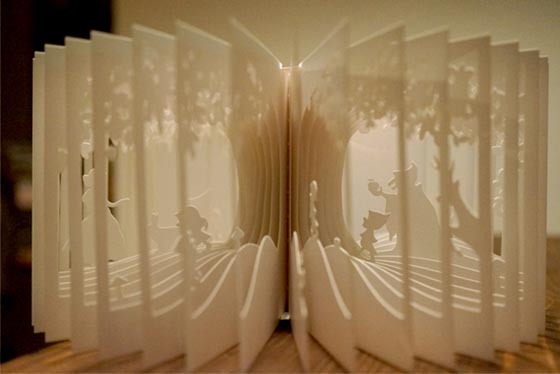 With this smart design, everyone who opens the book can enjoy it and is surprised by the dramatic transformation. 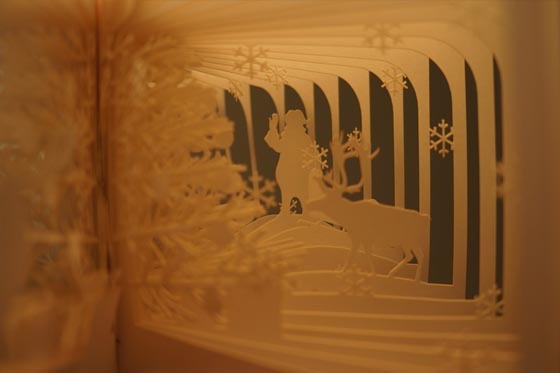 Right now, the whole set has following themes: sweet home, jungle, cheese and Christmas.